Describe and compare the two methods of exporting data from Salesforce. Export data manually using the Data Export Wizard. Set up automatic export of data on a weekly or monthly schedule. You can easily export data from Salesforce, either manually or on an automatic schedule. The data is exported as a set of comma-separated values (CSV) files. Data export tools provide a convenient way to obtain a copy of your Salesforce data, either for backup or for importing into a different system. Salesforce offers two main methods for exporting data. Data Export Wizard—an in-browser wizard, accessible through the Setup menu. It allows you to export data manually once every 7 days (for weekly export) or 29 days (for monthly export). You can also export data automatically at weekly or monthly intervals. In Professional Edition and Developer Edition, you can generate backup files only every 29 days, or automatically at monthly intervals only. Data Loader—a client application that you must install separately. It can be operated either through the user interface or the command line. The latter option is useful if you want to automate the export process, or use APIs to integrate with another system. Get Cloudy is a high-tech consulting firm specializing in CRM implementations. 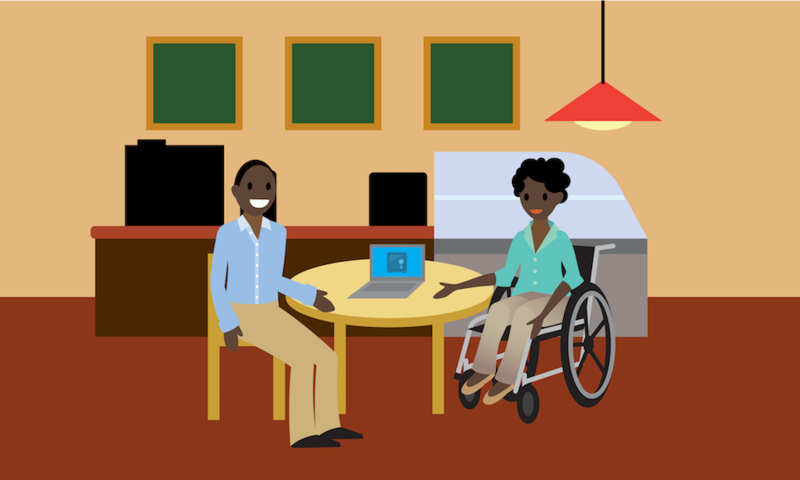 Charnice Jones-Bauer, Get Cloudy’s financial analyst, knows that data loss can have a serious financial impact on the business, so she sets up a meeting in the employee cafe with Salesforce admin Chinua Toure to talk about backups. Chinua explains that he automates weekly backups with the Data Export Wizard. Follow these steps to export data using the wizard. From Setup, enter Data Export in the Quick Find box, then select Data Export and Export Now or Schedule Export. If you want images, documents, attachments, and so on included in your data, select the appropriate options. Select Replace carriage returns with spaces to have spaces instead of carriage returns or line breaks in your export files. This is useful if you plan to use your export files for importing or other integrations. If you're scheduling your export, select the frequency (only available for organizations with monthly exports), start and end dates, and time of day for your scheduled export. Under Exported Data, select the types of data to include in your export. We recommend that you select Include all data if you’re not familiar with the terminology used for some of the types of data. Salesforce creates a zip archive of CSV files and emails you when it's ready. Exports will complete as soon as possible, however we can't guarantee the date and time the export will complete. Large exports are broken up into multiple files. Follow the link in the email or click Data Export to download the zip file. Zip files are deleted 48 hours after the email is sent.